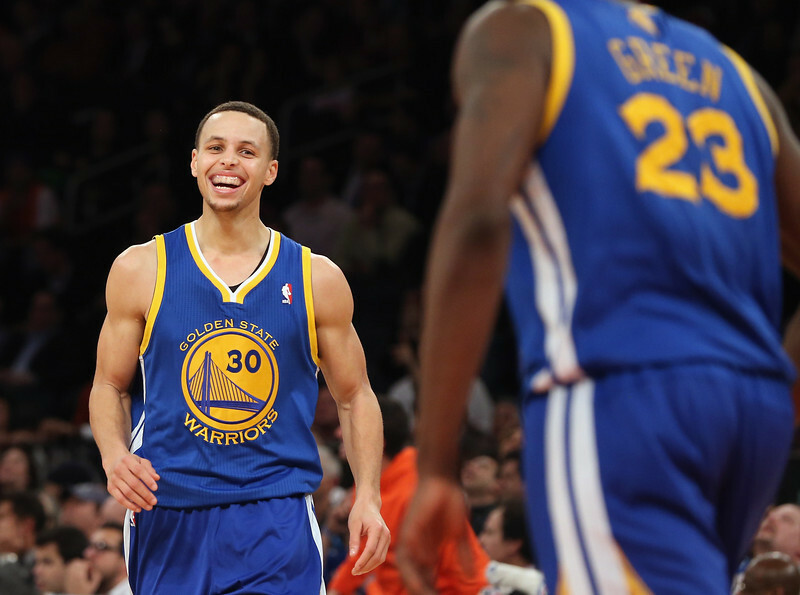 Last night, Steph Curry put on one of the greatest shooting displays I’ve ever seen. 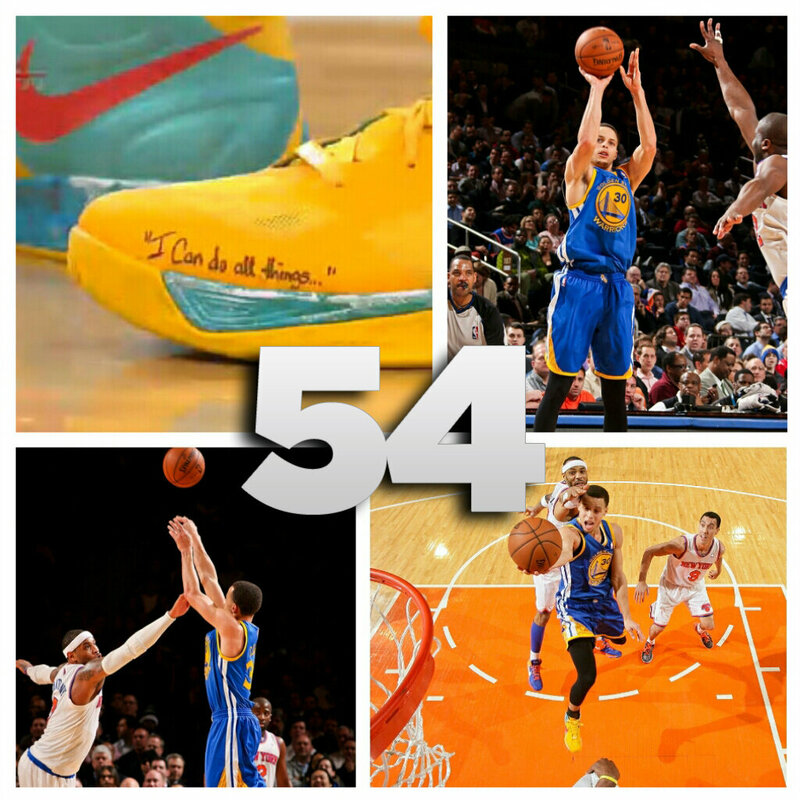 Curry had an NBA season-high 54 points and set a new franchise record with 11 made 3-pointers in the game against the Knicks. He shot 18-28 on field goals, 11-13 on threes, and was 100% from the free throw line as well. Curry’s previous career-high in points was 42, and his 54-point night was the most points by a Warriors since Purvis Short scored 59 vs. New Jersey on November 17, 1984. Also, he scored the most points in NBA history for a player with 10 or more 3-pointers made. 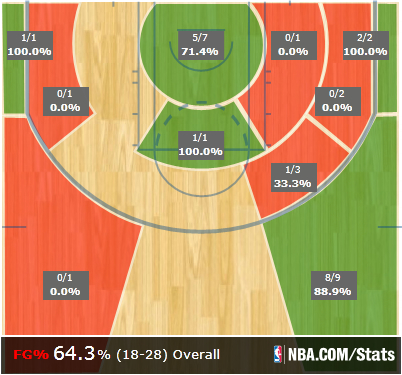 One of the most impressive aspects of Curry’s amazing night was how he scored the basketball. Known as one of the best, if not, the best, 3-point shooter in the league, Curry showed how many ways he can score besides from behind the 3-point line. He made all kinds of shots including catch-and-shoot, mid-range jumpers, off the dribble, in transition, well-contested, from deep 3-point range, and a variety of layups including floaters, runners, finger rolls, and bank shots. It was the ultimate shooting display, and to happen at Madison Square Garden made it even more magical. Curry became the first visiting player to have 50 points at Madison Square Garden since LeBron James in 2009. It was also worth noting that in addition to his 54 points including 11 3-pointers, Curry also had 7 assists, 3 steals, and tied with Festus Ezeli for a team-high 6 rebounds. He showed his wide range of skills and why he should’ve been an All-Star this year. He had the ability to score in many different ways, he contributes to the team with his scoring, his passing, and his ability to get steals and rebounds, he’s improved his defense, and he’s one of the main leaders of the Warriors. Even though the Warriors ended up losing this game against the Knicks, Curry’s performance made this one of the best game in the Warriors’ recent history. To watch videos, see other statistics, and to see how other players and analysts around the NBA responded to Curry’s unbelievable performance, click here.